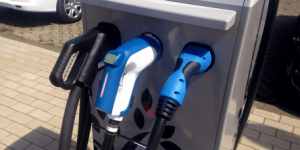 The major Benelux (BElgium, NEtherlands and LUXemburg) charging-station operators Open Chargepoint (Belgium), eViolin (Netherlands) and Chargy (Luxemburg) have announced plans to cooperate and integrate their charging systems. 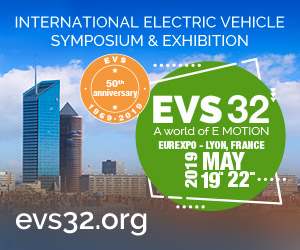 The French city of Lyon is planning to expand its’ E-Mobility capacities in the very near future: through a number of competing projects run by various private operators, Lyon is planning to expand their network of public charging stations by 2020 to a total of 900 stations. 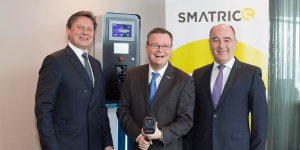 The Austrian energy and petrol station group has completed its transaction to join Smatrics with an interest of 40 percent, as planned. Also authorities approved the acquisition. 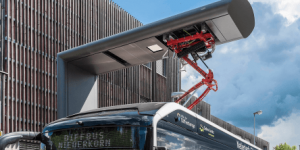 Charging an electric bus in seconds has become a reality in Geneva, where the first two of twelve articulated coaches have taken up service. They charge at ABB’s ultra high speed overhead chargers. Kristof Vereenooghe is the CEO of EVBox, a company that runs 50,000 charge points in 30 countries. He says, for its globalisation strategy, EVBox draws from its learnings in its home country the Netherlands. 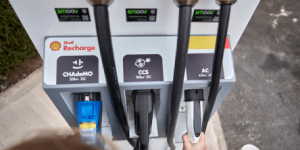 The Dutch fast-charging provider condemns Shell’s strategy to sell electric power for EVs at service stations where Fastned has already installed charging stations respectively has already concessions for. That’s why the company wants to bring the responsible authority Rijkswaterstaat to court. 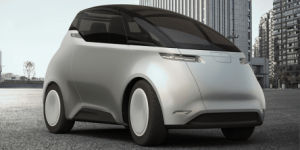 Swedish EV start-up Uniti and energy provider E.On closed an interesting deal: Swedish clients, who buy one of Uniti’s EVs, are getting five years of solar power to charge their vehicles at home. The bill will be paid by Uniti. 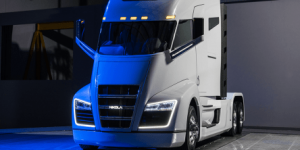 The European Commission suggests to invest 1bn euros out of the CEF (Connecting Europe Facility) fund to support a total of 39 infrastructure projects. 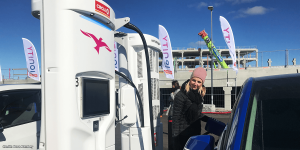 Among them: The installation of a pan-European network with 340 charging stations. 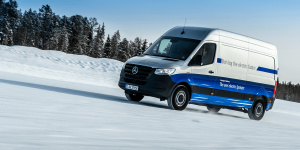 This network shall spread out across 13 European countries. 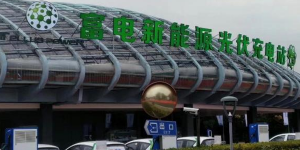 Tellus Power has opened a solar charging centre for electric cars in Shanghai and claims it to be the world’s largest. 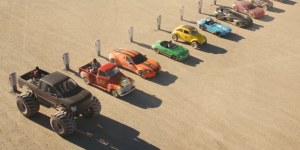 It covers an area of 2,500 sqm and includes 44 charging stations that can charge up to 400 EVs a day. 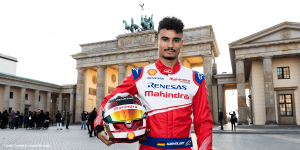 The High-Power-Charging network (HPC) of the German automotive industry has found a powerful new player in Shell. 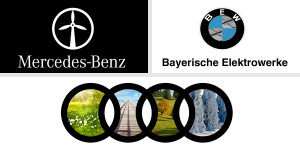 The petrol-chemical corporation joins BMW, Daimler, Ford, and Volkswagen’s Audi and Porsche in their endeavour under the Ionity label. German workshop chain A.T.U. 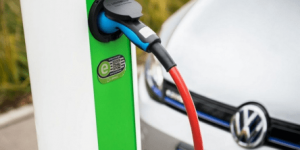 and infrastructure provider Allego have teamed up and want to install fast-charging stations at 40 garages located close to motorways in Germany. 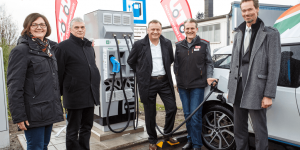 The Berlin-based company provides a new IT system to its meanwhile more than 300 partners in the Hubject charging network. The firm’s core business is the expansion of its intercharge network. 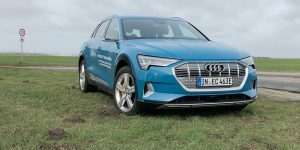 The EU has launched a new project to look into fast-charging solutions for electric vehicle fleets over the next four years. 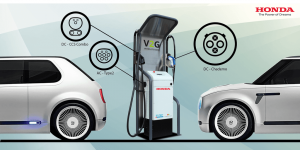 Coordinated by the Free University of Brussels, ASSURED is to develop conductive charging solutions for up to 600 kW and wireless devices for 100 kW. 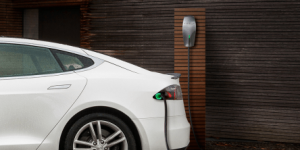 In 2015, Hilton Worldwide teamed up with Tesla and General Electric to launch a major EV charging programme. Meanwhile, the hotel group’s network seems to be much bigger than originally expected. 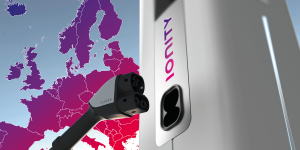 In a combined move by the BMW Group, Daimler AG, the Ford Motor Company, the Volkswagen Group, Audi and Porsche, the IONITY Pan-European High Power Charging (HPC) Network will tackle a significant hurdle in electric long distance travel. 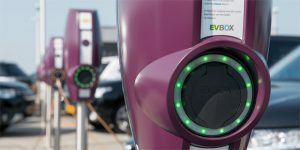 The energy provider has solidified plans for a pan-European charging network: By the year 2020 E.ON plans to install 10,000 charging stations all over Europes’ public places, including super markets, train stations and highway stops.